Item # 312837 Stash Points: 5,795 (?) This is the number of points you get in The Zumiez Stash for purchasing this item. Stash points are redeemable for exclusive rewards only available to Zumiez Stash members. To redeem your points check out the rewards catalog on thestash.zumiez.com. 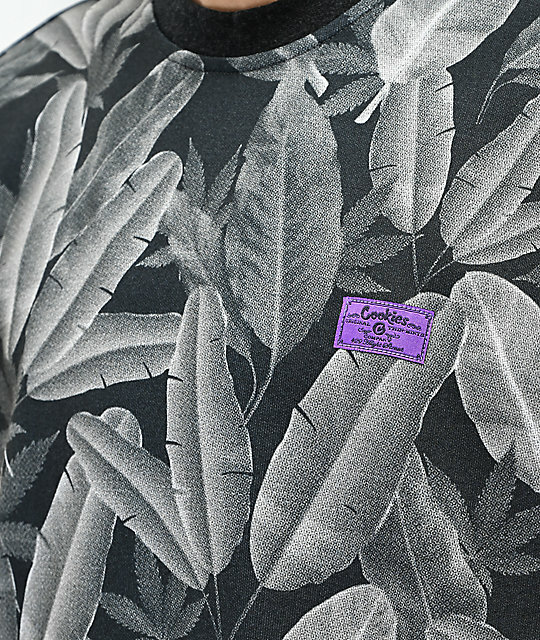 Grab a bold design from Cookies with the Emerald Triangle Allover Print Charcoal Short Sleeve Knit Shirt. 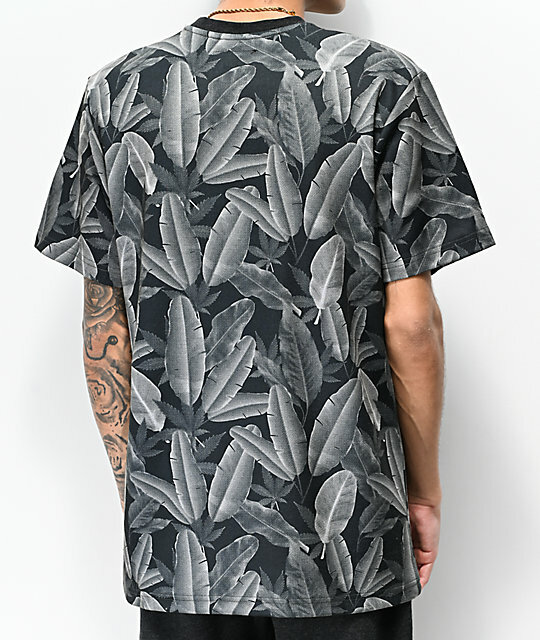 This dark, charcoal colored shirt features weed and banana leaves printed throughout for a unique design. A crew neck collar, relaxed fit, and mid-weight construction makes for a must-have shirt that will complete your daily looks. 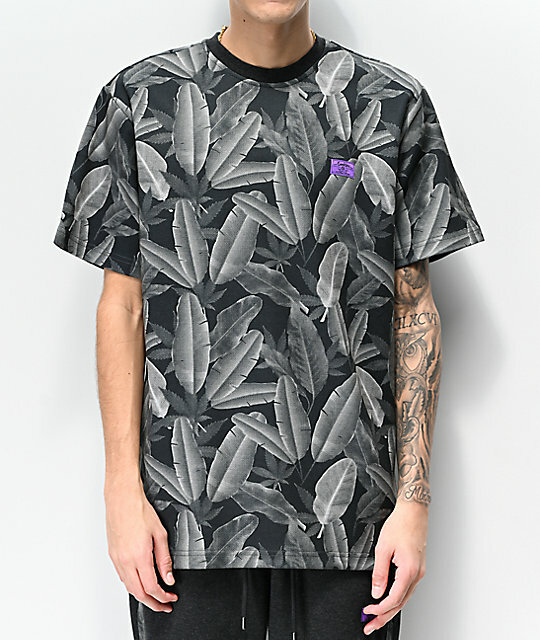 Emerald Triangle Allover Print Charcoal Short Sleeve Knit Shirt from Cookies.